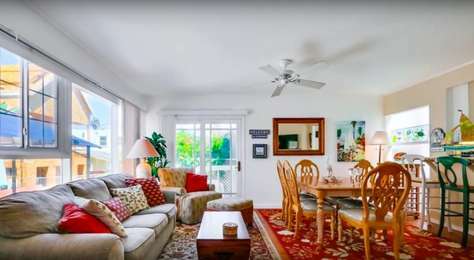 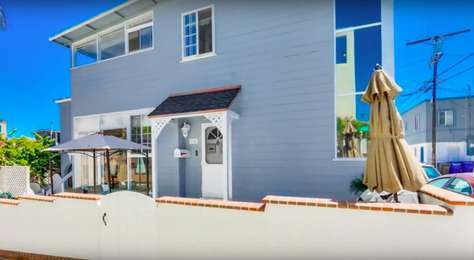 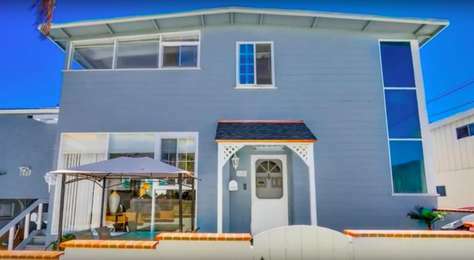 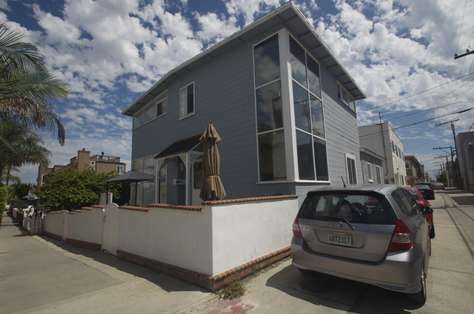 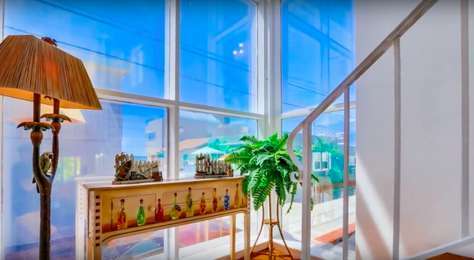 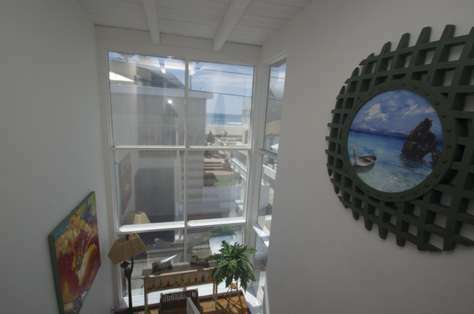 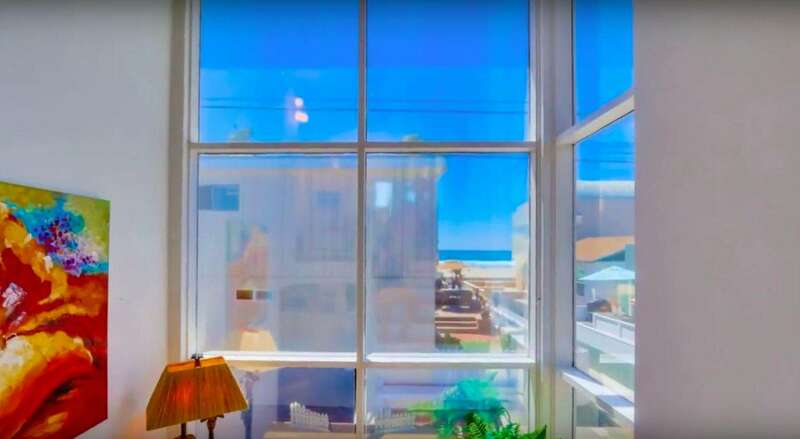 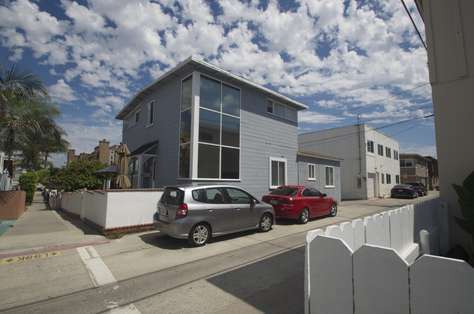 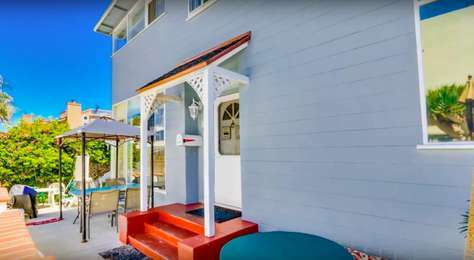 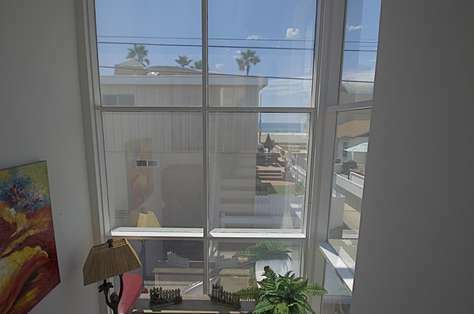 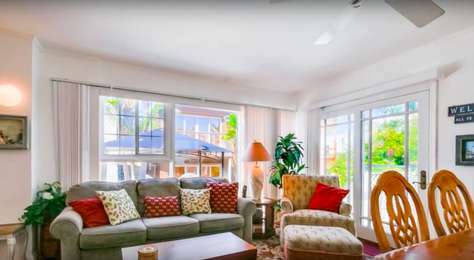 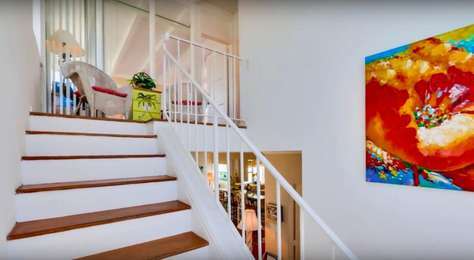 This large, bright and airy home will dazzle you with its ocean views and designer feel. 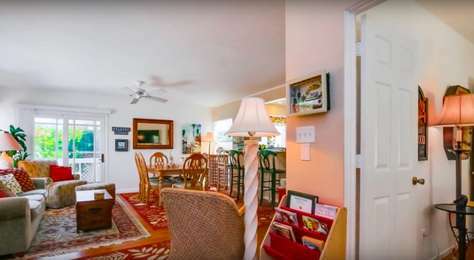 From the moment you step in the front door, you will feel right at home. 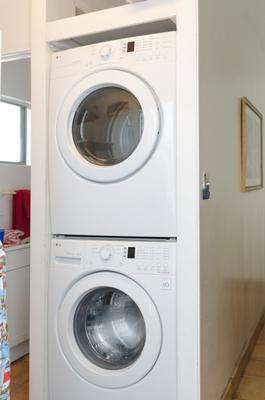 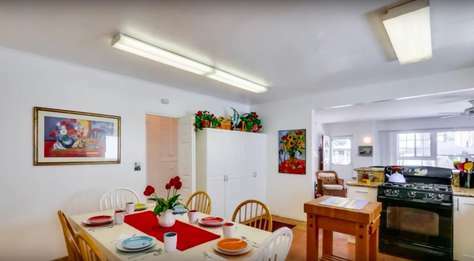 This house is PERFECT for 2 families with lots of kids or any other group needing plenty of space. 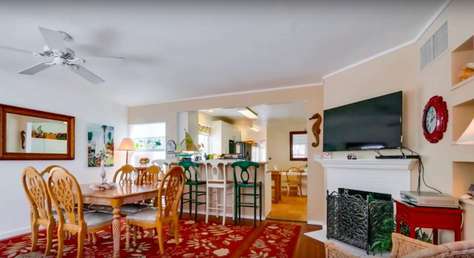 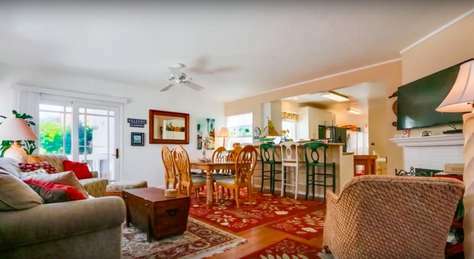 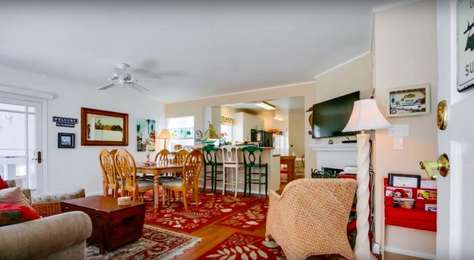 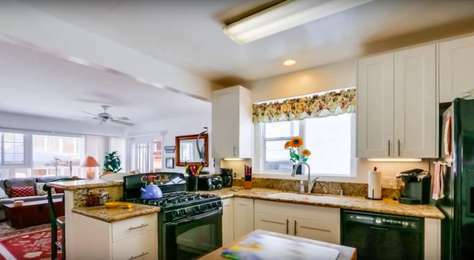 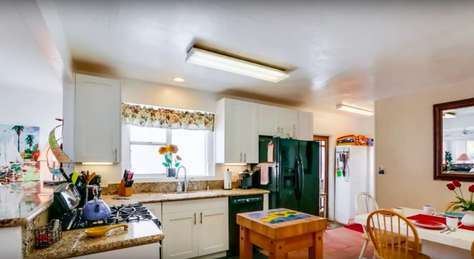 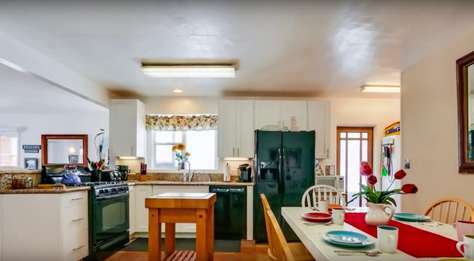 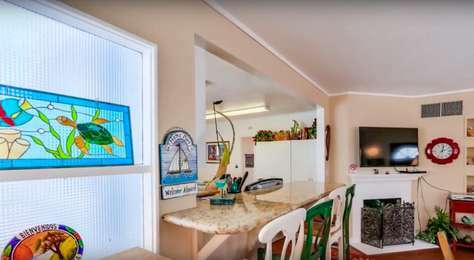 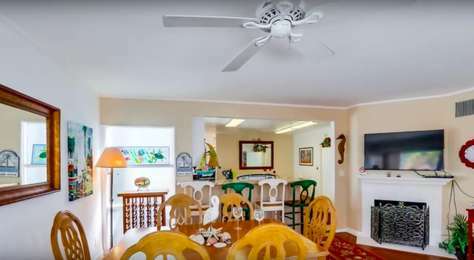 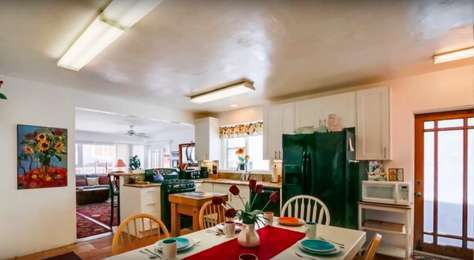 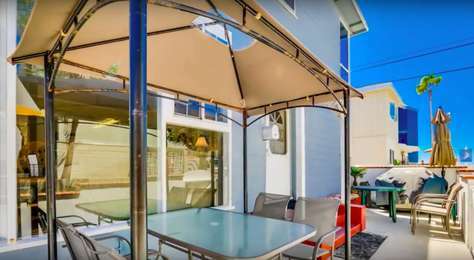 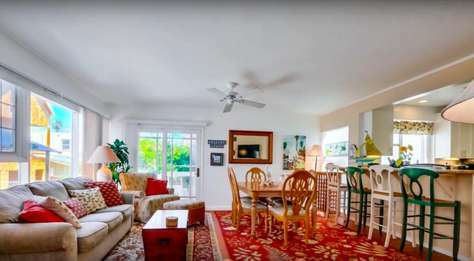 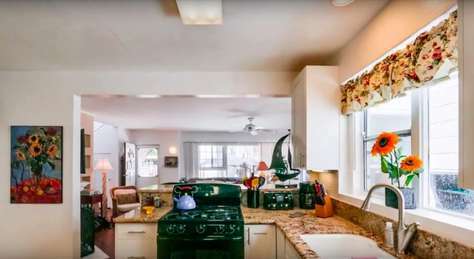 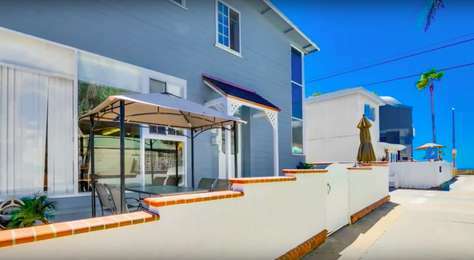 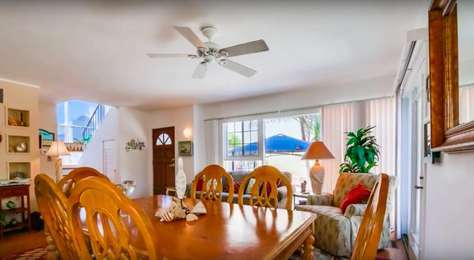 The kitchen is one of the largest in Mission Beach and is great for entertaining guests. 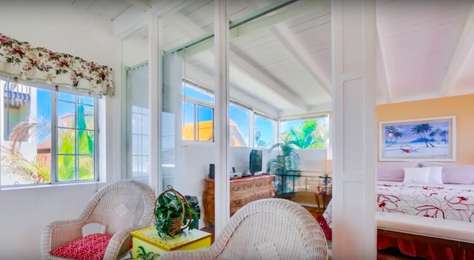 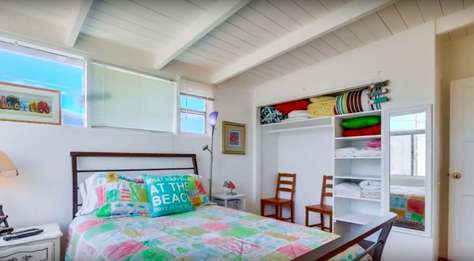 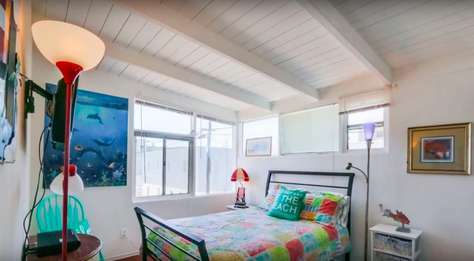 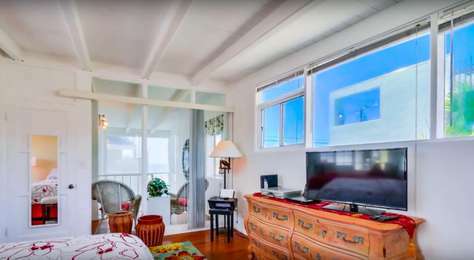 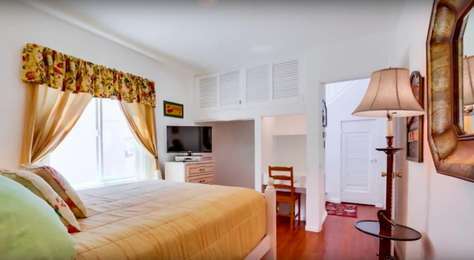 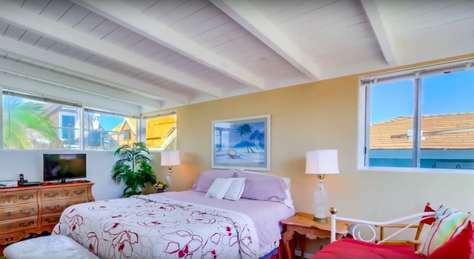 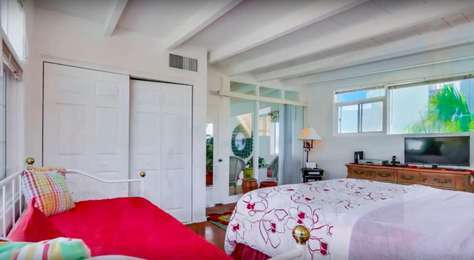 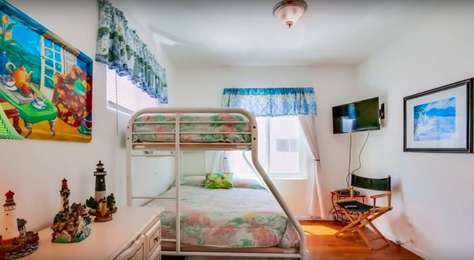 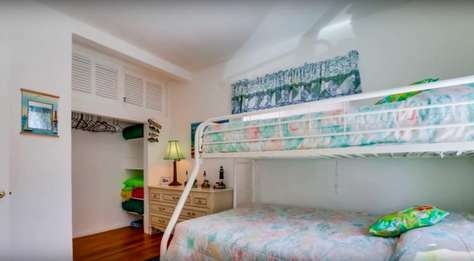 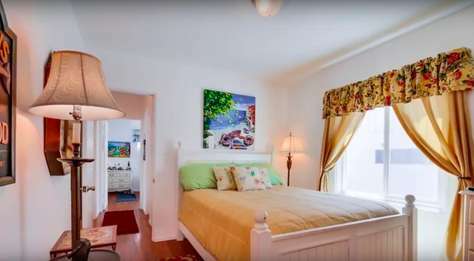 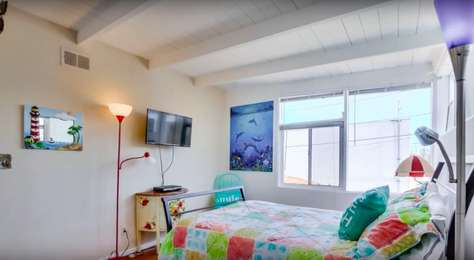 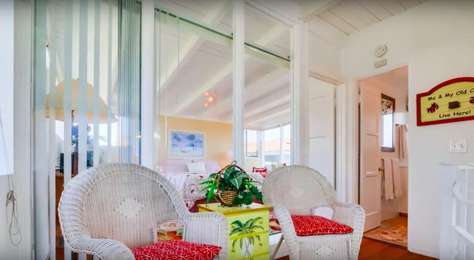 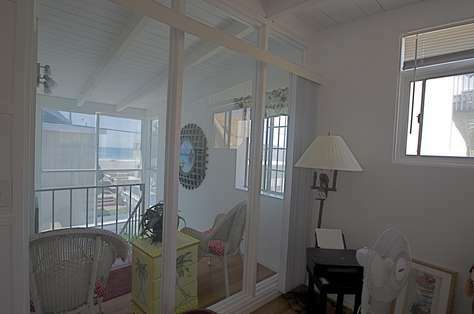 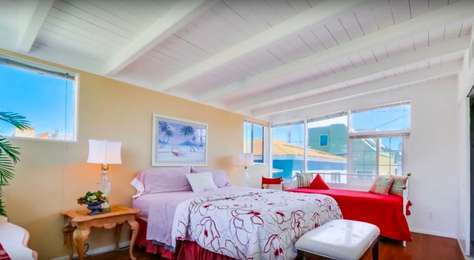 The large upstairs Master bedroom has a King size bed and offers an amazing Ocean view. 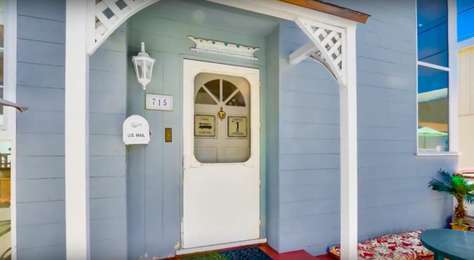 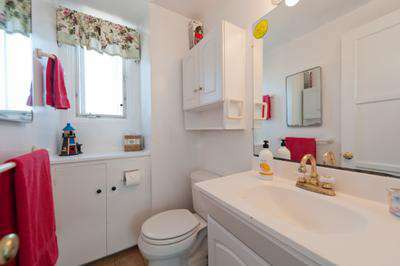 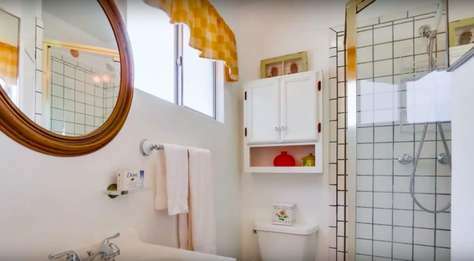 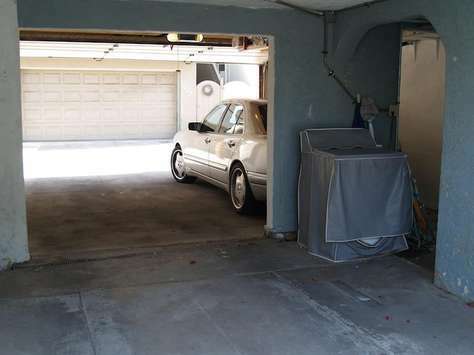 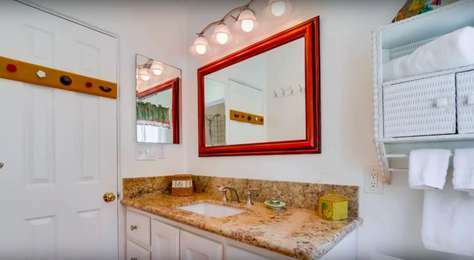 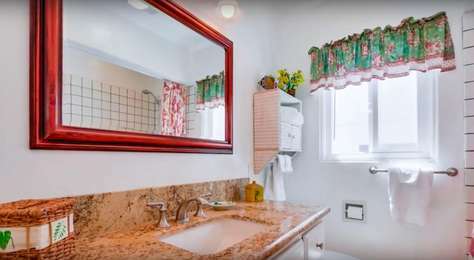 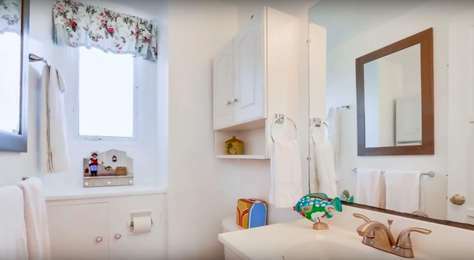 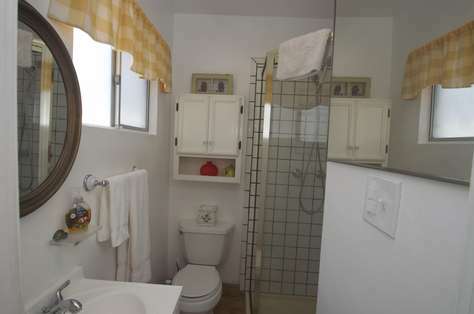 Browse through the pictures below to see all that this property has to offer. 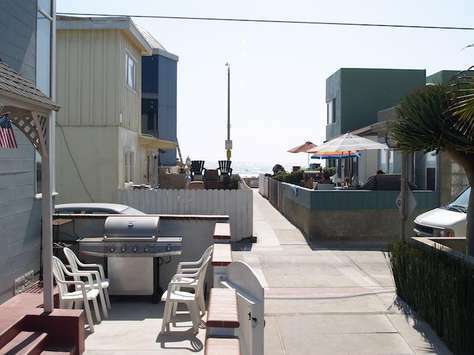 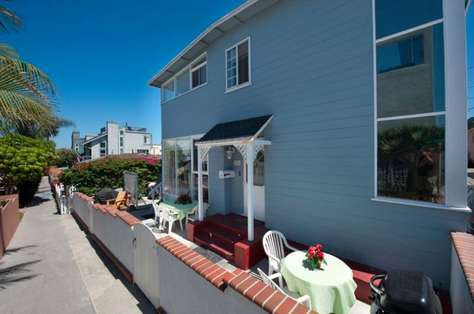 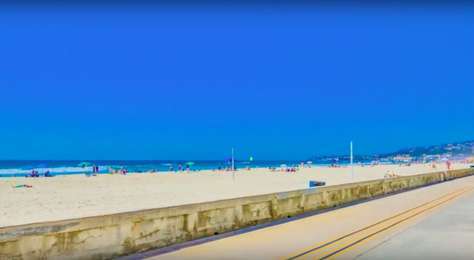 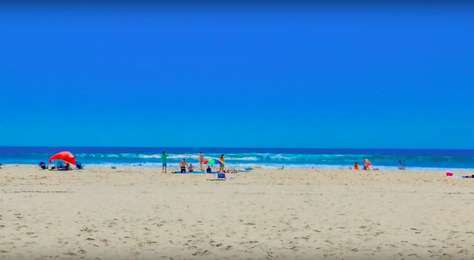 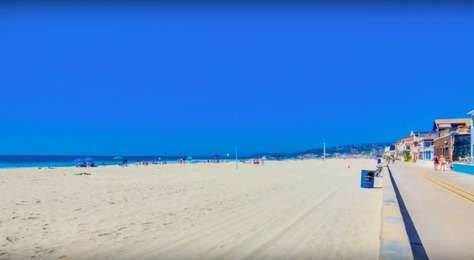 And remember, you will only be steps away from the beach (3rd House)! 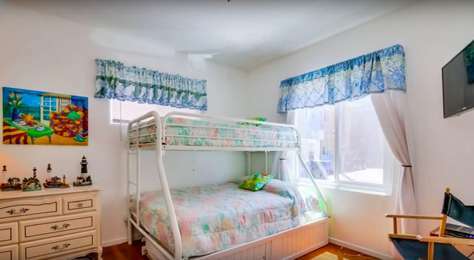 This property has 1 King(s), 1 Queen(s), 3 Full(s), 1 Pull Out Sofa(s), 3 Single(s).